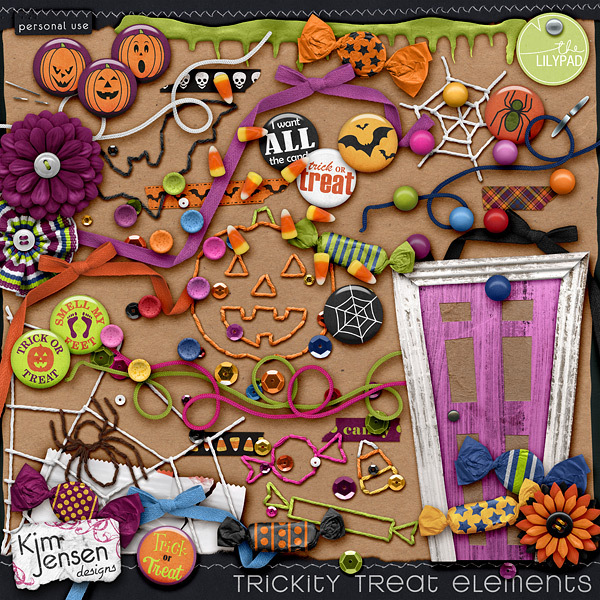 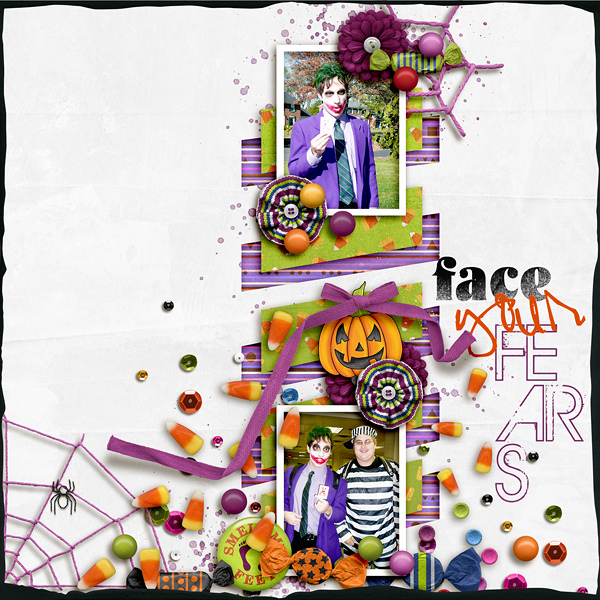 Kate Hadfield and Kim Jensen have teamed up once again to bring you a jam-packed kit that's full of treats, with maybe just the odd trick thrown in too! 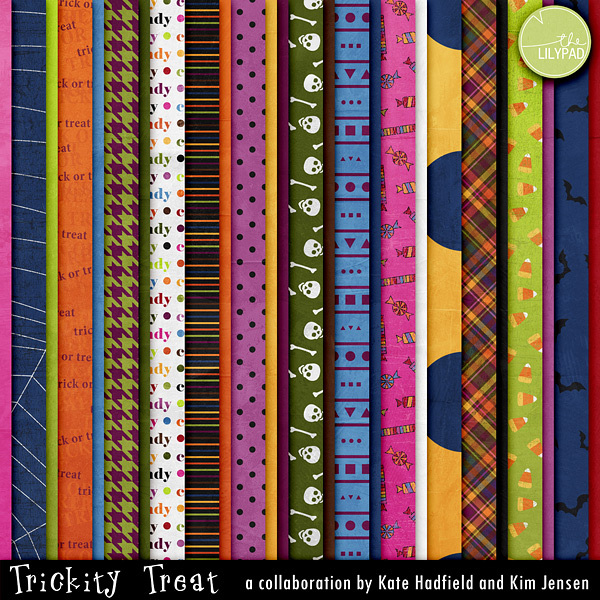 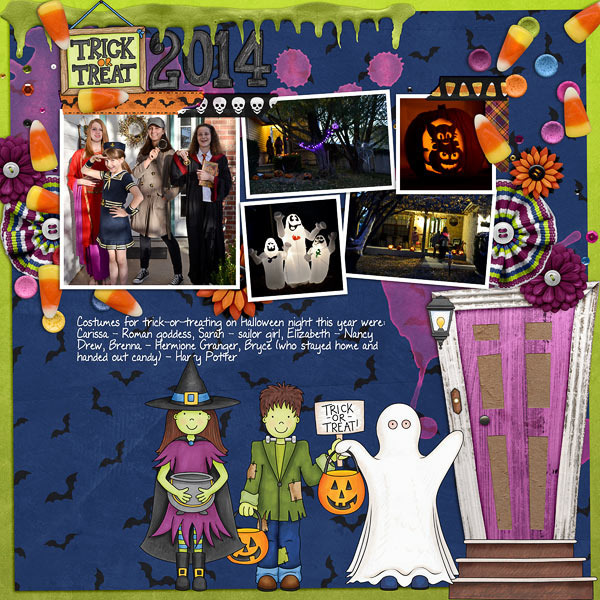 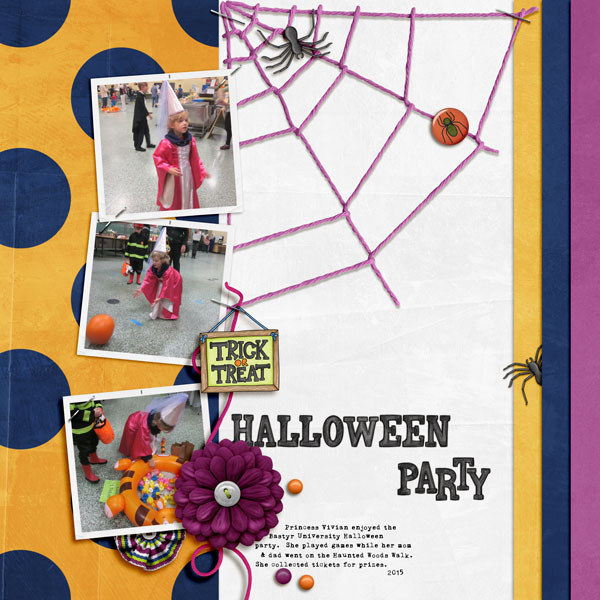 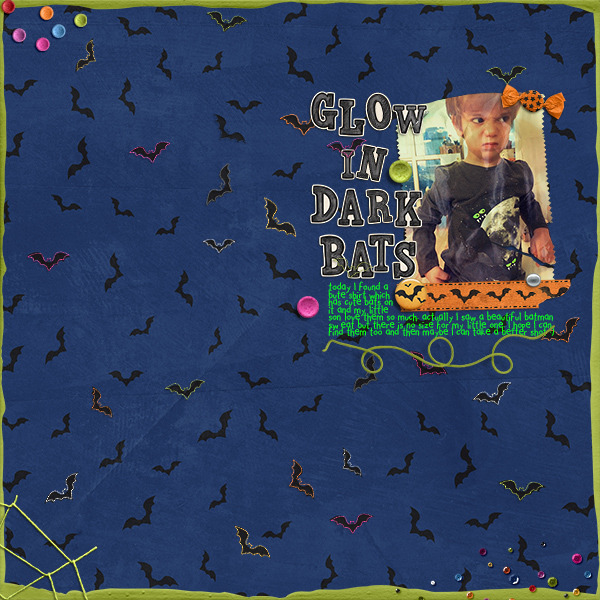 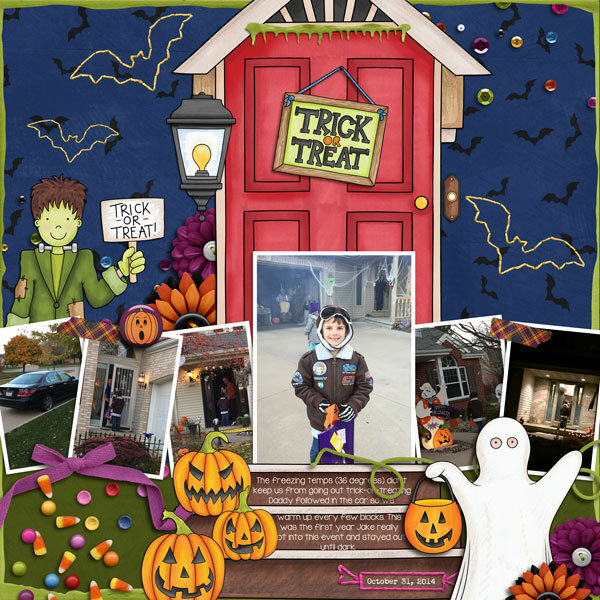 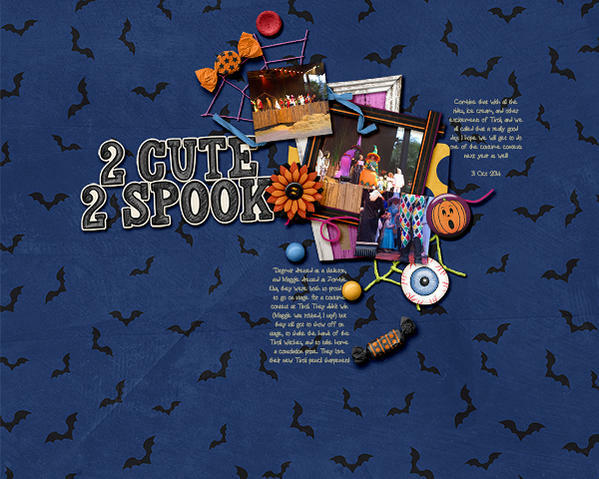 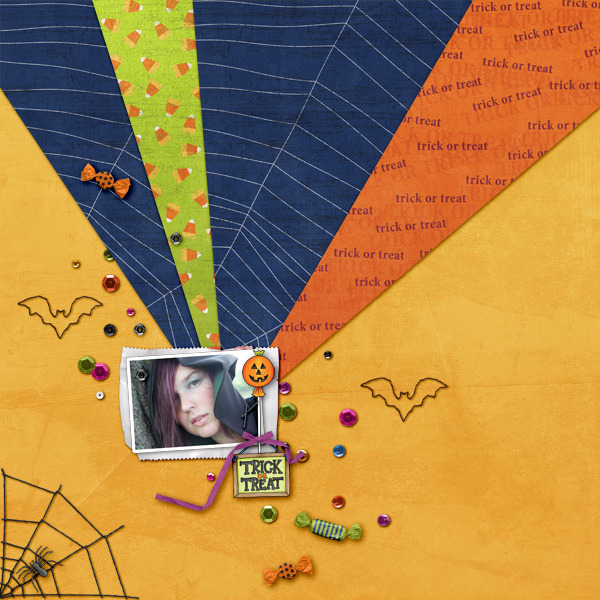 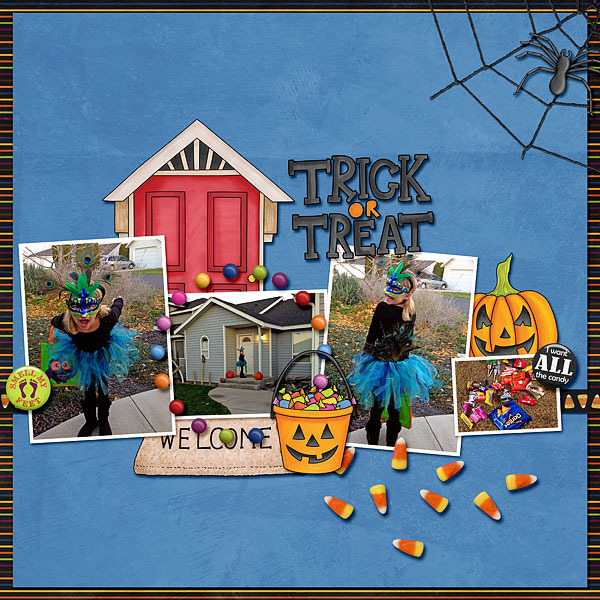 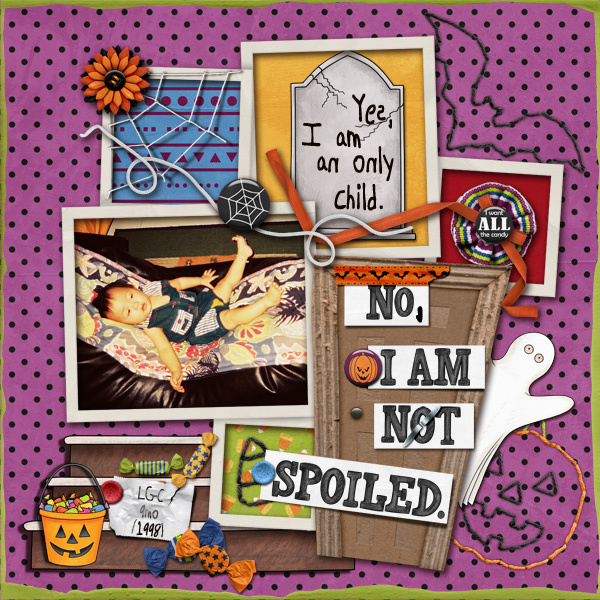 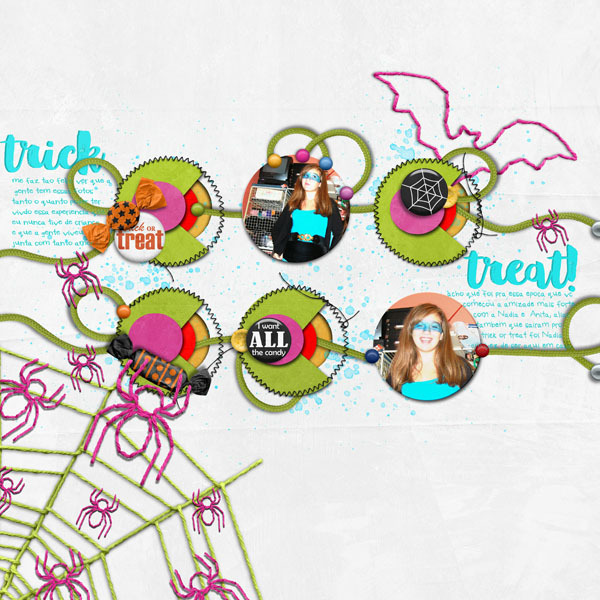 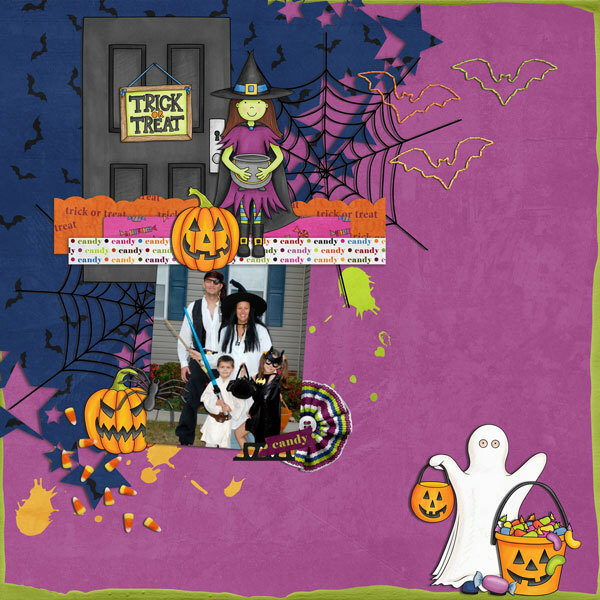 Inspired by our kids' Trick-or-Treating adventures, Trickity Treat is packed with beautiful papers, handmade elements and doodles, and lots of spooky fun! 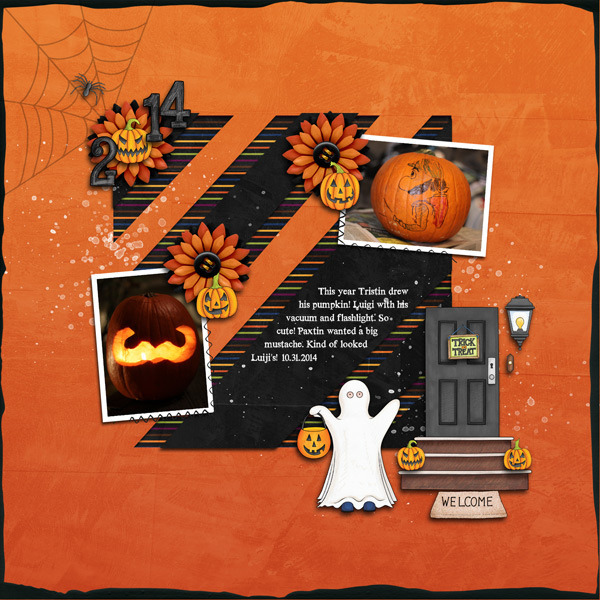 hand drawn alphabet containing uppercase letters, numerals 0-9 and the following punctuation: !&? 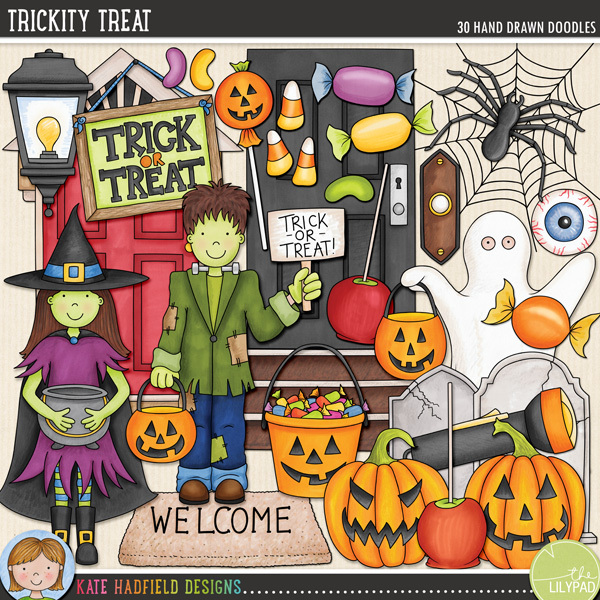 the following hand drawn doodles: 2 trick or treat buckets, 3 candy corn pieces, cobweb, 2 doors, doorbell, eyeball candy, 3 trick or treaters (Frankenstein's monster, ghost and witch), 3 jellybeans, plastic spider, porch light, 3 jack-o-lantern pumpkins, pumpkin lolly, steps, 3 wrapped sweeties, 5 sweets, 2 toffee apples, 2 tombstones, torch / flashlight, "Trick or Treat" sign, welcome mat.